Lawo introduced LIME, the Lawo Immersive Mixing Engine, at this year’s IBC show, a solution for mixing and monitoring 3D immersive productions on mc² consoles. The product was developed in close cooperation with New Audio Technology, developer of immersive audio solutions for industrial and end user applications. LIME provides integrated control with Lawo’s mc² series consoles and is capable of producing all relevant 3D/Immersive audio mixes used by formats like Dolby Atmos (7.1.2 & 5.1.4 bed), MPEG-H, AURO-3D, DTS:X, NHK 22.2, IMAX 6.0 and 12.0, Sennheiser AMBEO 3D Audio for loudspeaker systems. Furthermore, it is ready for MPEG-H’s TV Audio System, included in ATSC 3.0, designed for personal audio and broadcast applications. 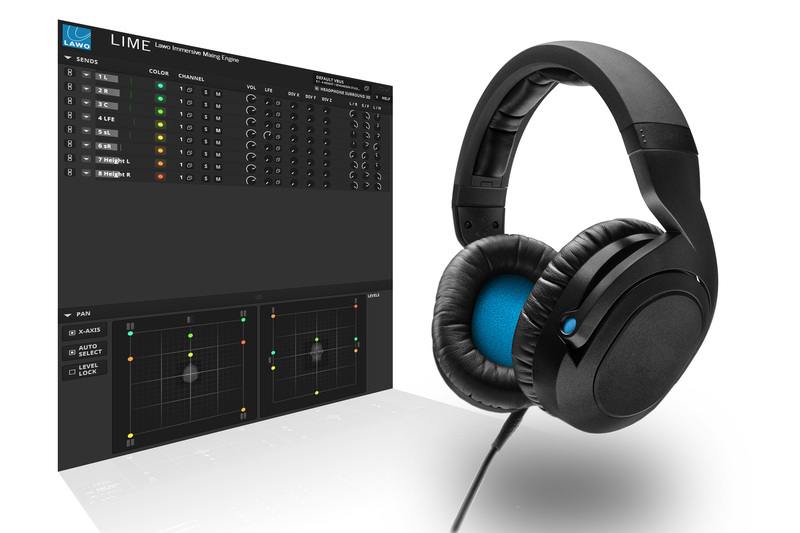 In addition, LIME includes a revolutionary headphone monitoring solution for 3D and surround productions, featuring New Audio Technology’s binaural speaker virtualization Headphone Surround 3D. Music and film productions like Kraftwerk 3D, Expendables I-III, Frankenstein and Mr & Mrs Smith have already utilized this feature. LIME’s monitoring capabilities open up new horizons for monitoring and mixing Surround/3D productions in environments that don’t allow for large-scale monitoring solutions.